The Honorable Judge Williams (retired) focuses his practice on complex civil litigation and federal criminal cases. With extensive experience presiding over thousands of complex civil litigation and federal criminal cases Judge Williams is the only practicing retired Federal Judge in Maryland to advise clients on these matters. Hodge v. Stephens (D. Md. 2013): a motion to dismiss a variety of constitutional and state law claims against municipality, police department and officers for alleged unreasonable search and seizure. International Waste Industries Corp v. Cape Environmental Management, Inc. (D. Md. 2013): a motion for summary judgment on claims of breach of contract, quantum meruit, unjust enrichment, detrimental reliance, and intentional misrepresentation. Lanier-Finn v. Department of the Army (D. Md. 2013): a claim for administrative review of Department of the Army’s determination on pay and other benefits. Lockheed Martin Corp. v. United States (D. Md. 2013): an opinion on pleading and tax procedure. United States v. One 2007 Harley Davidson Street Glide Motorcycle VIN (D. Md. 2013): a civil forfeiture case. Currie v. Wells Fargo Bank (D. Md. 2013): a mortgage fraud and breach of contract opinion. Benahmed v. BAE Systems (D. Md. 2012): a motion to dismiss Title VII employment discrimination and retaliation claims. Feldman v. Pro Football, Inc. D. Md. 2008): a hearing impaired lawsuit where Judge Williams ordered the Redskins to provide close captioning of public announcements and music. Audubon Naturalist Society of The Central Atlantic States et al. v. United States Department of Transportation et al. (D.Md.2007): an opinion upholding the environmental challenge to the Inter County Connector (Highway 200), a two billion dollar Fed/State project. Prior to his appointment to the federal bench by President Clinton in 1994, Judge Williams served Prince George’s County in Maryland in many capacities, including as State’s Attorney (elected for two terms), Public Defender, Special Counsel, Hearing Examiner, and as a Substitute Juvenile Master. Judge Williams also had a successful career in private practice in Maryland and Washington DC. 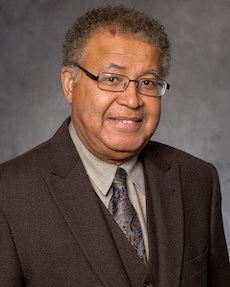 He is a founder, member and the first president of the J. Franklyn Bourne Bar Association, Inc. and has served for many years as a Professor at Howard University Law School. Judge Alexander Williams is recognized as a top attorney and has earned a perfect 10.0 "Superb" rating from Avvo, one of the most respected attorney rating services in the country. • 2017 - presently Adjunct Professor at University of Maryland, College Park (course taught Honors Course: Achieving Justice and Equality in the 21th Century: Problems, Polices and Practice): Co-instructors. • 2017: Governor’s Citation and Senate and House resolutions in recognition of 30 years of Public Service and founding of the Judge Alexander Williams, Jr. Center for Education, Justice and Ethics.